Asset Insights is an innovative RFID startup headquartered in Fairfax, VA. 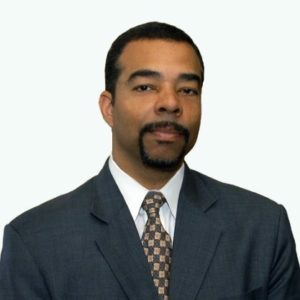 The company is led by Sylvanus Bent, technology leader with over 25 years of industry experience. Mr. Bent led the team at IBM that developed the first generation of the technology which later became known as UML. At Apple technology, he led the team that first developed the use of meta-data tagging for what was later submitted to the W3C as the XML standard. He co-founded the company Network24, a developer of Internet video streaming technology, acquired by Akamai in 2000. In 2001 he joined Savi Technology (the largest supplier of RFID to the DoD) and led the company’s first use of RFID in the commercial Retail sector. That project was an outstanding success, garnering multiple awards, including “Supply Chain Solution of the Year”, in 2003. This project helped inspire the recent worldwide interest in applying RFID to radically improve the efficiency, visibility and management of assets in the global supply chains in the Retail industry. Since 2004, Mr. Bent has been one of the most active contributors to the world-wide RFID standards effort, and has co-authored two of EPCglobal’s most important software standards (ALE & EPCIS). In 2012, Mr. Bent joined with a dozen key RFID contributors and leaders, and founded the International RFID Institute – a non-profit organization focused on RFID Education, Research and Certification. Mr. Bent was elected the founding Chairman and President of the organization and led the organization in developing its strategy for supporting both the general public and RFID professionals. Founding Chairman and President of the International RFID Institute Inc.
CEO, Sylvanus Bent of Asset Insights is a member of EPCglobal and co-authored the ALE and EPCIS standards. EPCglobal leads the development of industry driven standards.